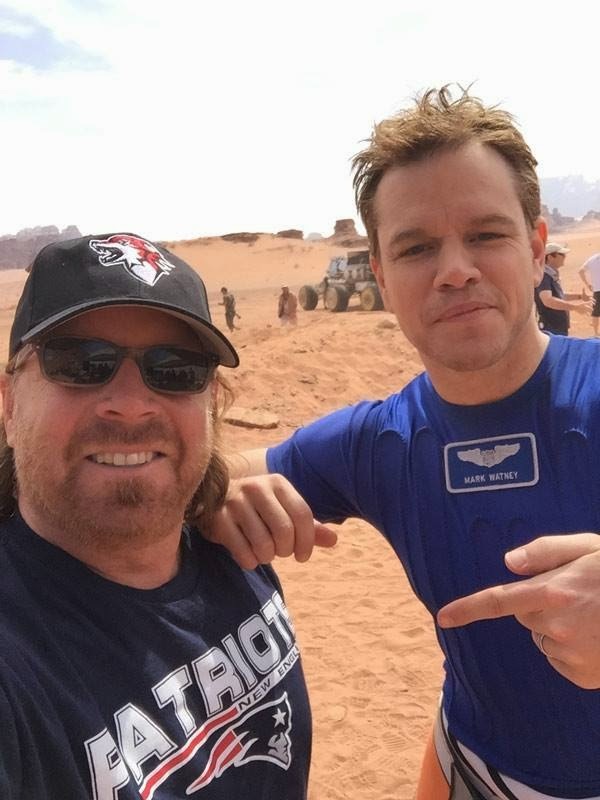 The movie The Martian: trailer, clips, photos, soundtrack, news and much more! Who’s the ultimate hardware hacker: Mark Watney or MacGyver? Release date: October 2, 2015. Disco is evil I heard, so you better not listen to it anyway! lol! The Martian movie will be released on October 2, 2015. Do you think mankind will reach Mars before you die of old age? Will you you go see the film when it will open in theaters on October 2, 2015? You heard the man: Mars will come to fear his botany powers! Damon rules! The film will be released in theaters on October 2, 2015. I wouldn’t call it a storm, it’s more like a rehearsal of the Apocalypse! The film will be released on October 2, 2015. The Martian – How come Aquaman can control whales? Space agencies around the film should sponsor this film: I bet many kids will dream about going to Mars thanks to Matt Damon’s performance! The film is directed by Ridley Scott. Hang in there, things will work out for you am sure of it! What would you if you were stranded on Mars? Would you just give up and wait for death? Or would you fight to stay alive? The movie The Martian will be released on October 2, 2015. With luck this film will get young people to study science so mankind may boldly go where no man has been before! Anyway, can’t wait to see The Martian: we have a captivating adventure ahead of us! The movie The Martian will open in theaters on November 25, 2015. Are you ready for an epic trip on Mars? The film is directed by Ridley Scott. It will hit theaters on November 25, 2015. That truck-like vehicle in the background must be Watney’s Mars rover. Besides Matt Damon, the cast also includes Kate Mara, Jessica Chastain, Kristen Wiig, Sebastian Stan, Sean Bean, Donald Glover, Mackenzie Davis, Michael Peña, Chiwetel Ejiofor and Jeff Daniels. The release date of The Martian is set to November 25, 2015.